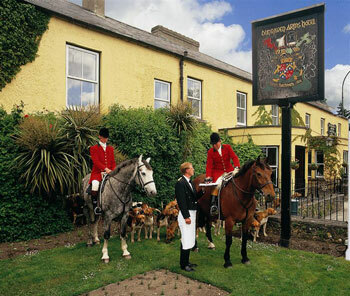 Established in 1792, the Dunraven Arms Hotel is set in gardens surrounded by the thatched cottages of Adare, 13 miles from Limerick. The 74 guestrooms and suites are filled with antique furniture and bright fabrics; all featuring cable television, wireless Internet, and direct-dial phones. 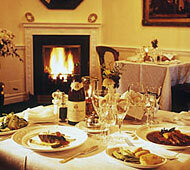 The Maigue Restaurant, a traditional dining room, offers a mix of classic and contemporary Irish cuisine. Guest Rooms: Encapsulating the old-world setting of the Dunraven Arms, all of our bedrooms have been individually styled with sumptuous fabrics and elegant, antique furnishings. 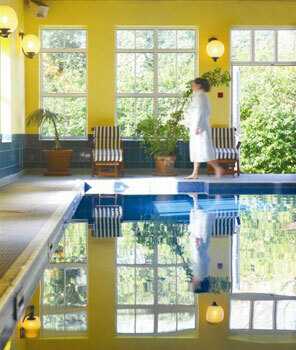 Location: Located in Adare, 30 minutes from the Shannon Airport, this is the ideal base to explore many wonderful sights and famous landmarks. You could take a daytrip to include Bunratty Castle, the Burren and the Cliffs of Moher. Head south towards Blarney Castle and Cork city and harbour. Spend the day in Killarney and the wonderful Muckross Park and still be back in time for supper. Stay in the local area and visit the Hunt Museum, King John's Castle and the University Concert Hall. Restaurants: The celebrated and uncompromised Dunraven hospitality extends to the multi award-winning Maigue Restaurant, where guests are welcomed to a luxurious and traditional dining experience under crystal chandeliers and over tables gracefully set with crisp white linens and silver service.